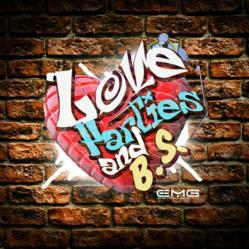 Coast 2 Coast Mixtape Promotions and EMG Music Company Present Charlie Kris’s Latest Mixtape Project, Entitled “Love, Parties & BS,” Available for Free Download From Coast 2 Coast Mixtapes. Singer Charlie Kris recently released his mixtape “Love, Parties & BS.” Coast 2 Coast Mixtapes and EMG Music Company present the project, which is now available for free download. “Love, Parties & BS features Charlie Kris on original tracks with production credits including OddzNEndz, Napolian Barnes, T-No, A-Roc, Jason Danz, M-80, and Fliz MP Williams. Making his way from a small town in Alabama, Charlie Kris has made a mark in today's music industry as a songwriter, singer and vocal producer. He has worked with several artists and groups such as Elite, a boy group reminiscent of a more edgy B2K, who was signed to Def Jam. He has also done work for London, a male solo artist currently signed to Universal Motown. That opportunity opened doors for Charlie Kris to work with some of the industry’s best producers such as Bangledesh, who has collaborated on hit songs such as "A Milli" by Lil Wayne and "The Whisper Song" by Mr. Colli Park, along with The Ying Yang Twins, and "Bed" by J-Holiday from Music Line/Capitol Records. Cassie. In addition to the songwriting and singing, Charlie Kris also has his own production team, Entourage Music Group. This group is made up of himself and Chief Producer, NapoLeon, an engineer and an up and coming producer who has worked with numerous artists in the industry. Charlie Kris sounds like a fusion of Justin Timberlake, Usher, Andre 3000, and a more in-your-face Michael Jackson. Seasoned with time in the industry as a songwriter and having learned and adapted to the various changes in the business of music, Charlie Kris is ready to be a leading man such as many of his musical idols.